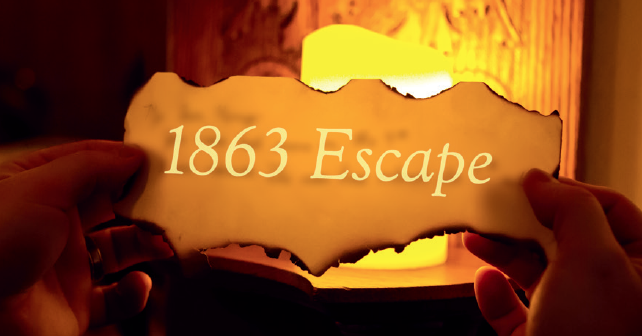 Can you solve 1863 Escape’s Civil War-themed puzzle in an hour? It’s 1:20 on a beautiful Saturday afternoon in Gettysburg, and we’ve been locked inside enemy headquarters—with only one way to escape. The date is July 2, 1863, just one day before the clash of Union and Confederate soldiers at Gettysburg. We’re Union soldiers who managed to sneak into the quarters of a Confederate general while he’s away. Our mission? To search his room and find his battle plans before he returns in an hour. And, with that, the fate of the Union depends on us. After gaining popularity first in Japan then spreading to U.S. metropolitan areas like New York and L.A., escape rooms have finally made their way to Gettysburg. 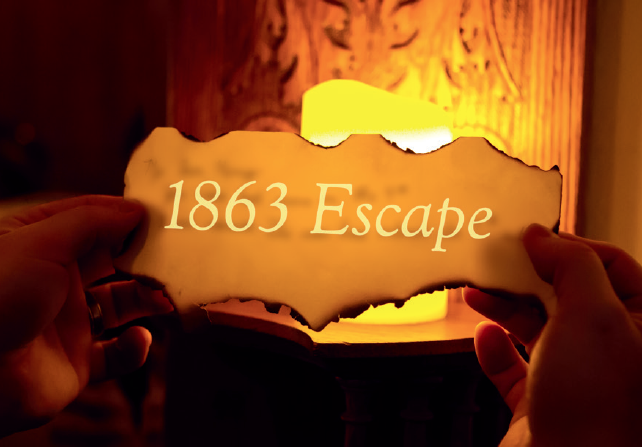 And, 1863 Escape is Gettysburg’s first Civil War-themed escape room. Here’s how it works: Teams of eight to 10 players sign up to be locked in a room where they must find clues and solve puzzles to complete a mission and find the key to escape—all within an hour. It’s the brainchild of owners Chris Kash and Brandon Staub, both originally from Littlestown, and they’ve invited the Celebrate Gettysburg crew to give it a test run before opening in late March. Driven by adrenaline and the need to win, we made it out just in time. Both Shippensburg University business grads, Kash and Staub always knew they wanted to open a business in Gettysburg. Staub currently works as a quality control manager in York, and Kash a federal employee in Washington, D.C. Kash had visited a few escape rooms in the past and noted their increasing popularity in the D.C. area. Over drinks, the guys decided it would be a great addition to the Gettysburg entertainment scene. They designed everything from scratch—from the layout of the room to the game flow itself. It’s a far cry from other escape rooms, Staub says, where owners rent a space, buy a box, and assemble everything as instructed. To play, it doesn’t matter if you’re a history buff or a novice, though Civil War enthusiasts will love this—players also learn how to use a Confederate cipher disk. A “game master” shows you how to use it before entering the room, a tweak made after a few rounds of test groups. Once inside, it’s a race against the clock—an hour of complete chaos and (sometimes) confusion, all leading to one final discovery. There are clues everywhere, from the dresser drawers to the books on the shelves. You can explore everything in the room, and you’re encouraged to. “Everything in the room is there for a purpose,” says Kash. If you’ve never heard of escape rooms before, it may sound strange or a little creepy, but it’s not. It’s actually quite thrilling, as you’re rushing to outsmart the general and, honestly, yourself. It’s a gaming adventure that requires solid communication, teamwork, and intuition. The puzzles are meant to cover everyone’s strengths, says Kash—from math to riddles to building. That’s why Kash and Staub say it’s perfect for team building and corporate events. But, if you get stuck, there’s always help nearby. Struggling with the clues we managed to uncover, we turned to see a new face in the room, one of the game masters dressed in period attire. As quickly as he pops in and drops that subtle hint, he’s gone. But, now we know where to go and what to do next. It’s a welcome tip, and one that players should expect, because the game masters are on the other side of the room, watching from hidden cameras and ready to help as needed. With just minutes to go, we find the cipher disk and begin cracking the code. A to B. E to L. A to U. After several spins of the cipher, we finally know the general’s battle plans for Gettysburg. You’ll have to play to find out.